This week’s reveal is a combo project, the fireplace update which was completed beginning of spring and then a HUGE delivery of firewood this week for the upcoming winter. 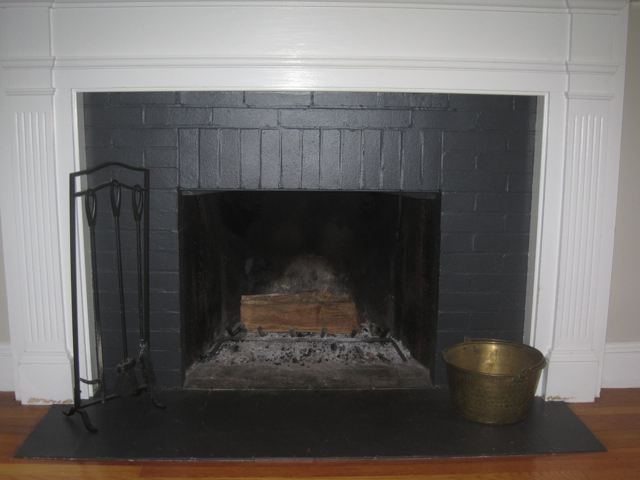 When we bought our house, we were so thrilled that it had a fireplace. Below is what it looked like when we moved in, red bricks with mortar that had been painted to stand out even more. We both wanted a change and after much research, found out we could paint over it… so we did. Here is the end result. 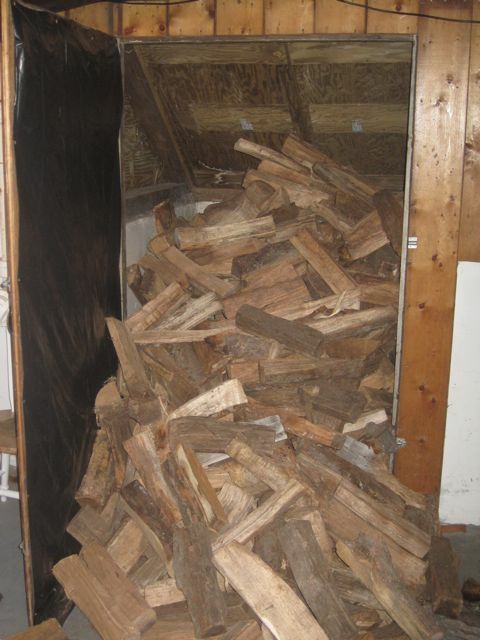 Last winter we had a fire almost everyday and ended up going through about 3/4 cord of firewood. This year we decided to stock up ahead of time to save money and be ready for the cold weather. 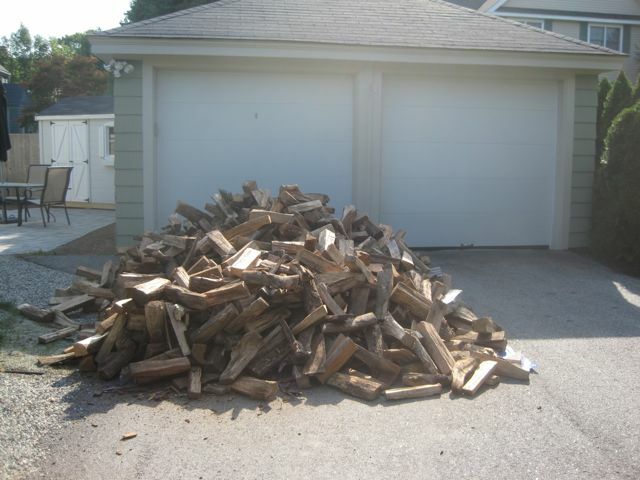 We built a new firewood rack for the basement and then had Wolf Hill deliver a load of wood early this week. You can’t tell from this picture but we laid out a tarp underneath to catch all the bark and miscellaneous pieces after the wood had been stacked. 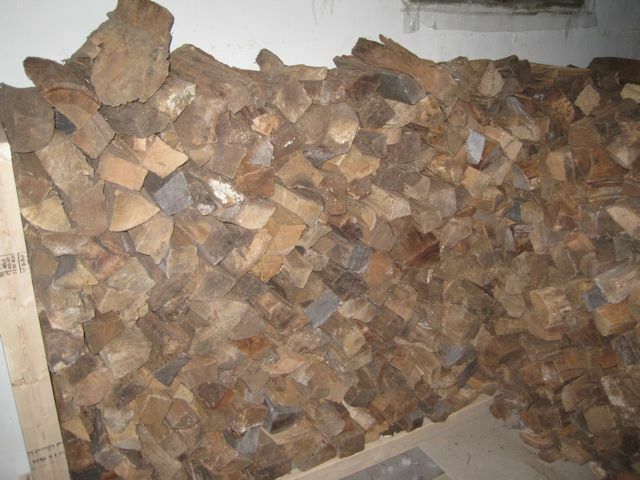 Previously we had carried all the wood into the basement by hand. This time we decided to open up the bulkhead and wheelbarrow it over and dump it in. From here the wood was moved to the wood rack in the basement and stacked. Overall it was easier on the legs and back. 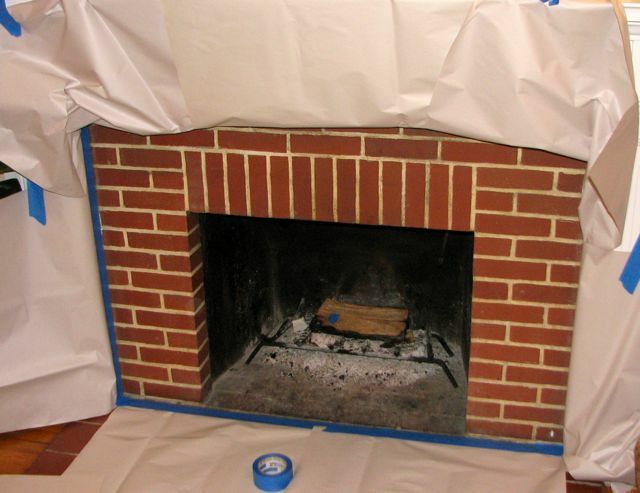 The end result is a fireplace ready for winter and a supply that should last us all the way until spring.